This site has shown how hypnosis has been used since ancient times, and more recently that the British Medical Association (BMA) in 1955 recognised hypnotherapy. There are many more recent real-life examples of how hypnotherapy is being used right up to present times, and a wide of conditions that hypnotherapy can treat. 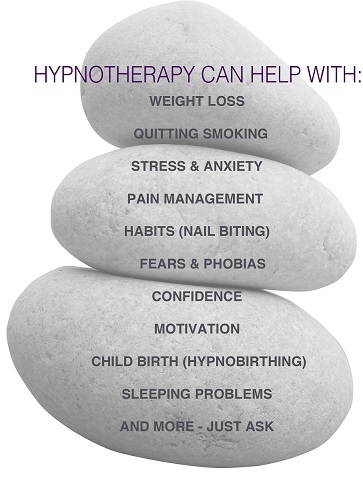 There are many examples of how J S Hypnotherapy uses a variety of techniques with clients. Alcohol control – whether to quit alcohol altogether, stop binge-drinking or simply cut down – hypnotherapy can help. Phobias and Habits: A range of phobias can be treated with hypnotherapy – from social phobias/agrophobia, fear of flying, spiders – lots of examples are provided in this section. Hot flushes and the Menopause – a common sypmtom of the menopause can be treated using hypnotherapy. Sleeping problems – inclusing insomnia and snoring. For further information, please click onto individual sections. For added interested, I have also included a range of articles/links. Please do not hesitate to contact me for additional information and/or or your specific requirements: NOTE- only a limited range of conditions have been covered on this web-site – the list is not by any means exhaustive! – Just ask me!